When it comes to gift-giving, there aren't too many people out there that don't struggle a little bit in deciding what to purchase. Adults, kids, birthdays, holidays, anniversaries, gadgets, toys, clothing, personalized... I just never know where to begin! Individual companies have reviews and suggestions, of course, but it's hard to know if those products are featured simply because they are for sale there or if they are truly enjoyed. Those brands have a vested interest in highlighting their items, so it would be nice to have a place to visit where real people list their ideas instead. That place now exists in the form of the fun online community at itsThoughtful.com. 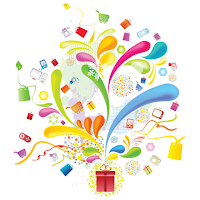 A site to find the best gift ideas from the year that are listed by members of the community, real people with real opinions, itsThoughtful is a social shopping network focused completely on gift-giving. With over 50,000 gifts recommended by more than 10,000 members, it's easy to search by occasion, recipient, price and more to see just what others are naming as the best ideas around. Then, by listing the best price available, with one click you are brought directly to where you need to go to purchase your findings. With shopping made that easy, I was interested to see what I could find on itsThoughtful for the people on my list. As I always have a hard time coming up with gift ideas for my husband (and with his birthday right around the corner) I went straight to the Gifts for Dad section to see what he might like. 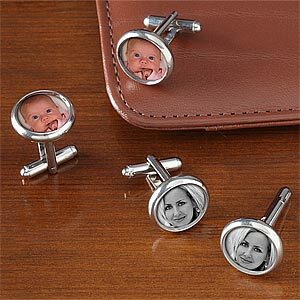 The first thing that jumped out at me was the listing for the Photo Cuff Links. Although not needed on a daily basis, my husband does wear a few dress shirts that require cuff links and this would be such a cute way for him to have a little reminder of his girls wherever he is. Next up, the 10 Hour Heated Stadium Seat. Even though we don't frequent the football games here nearly as often as we used to, I love the idea of a battery-charged heated seat cushion that would make sitting out in the cold a much nicer experience. Although I have to admit that if I gave this to my husband as a gift, I would most likely be pestering him to borrow it any time we were at the game! Such great ideas! 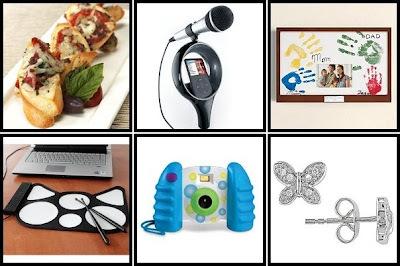 And, in an effort to make shopping even easier, itsThoughtful wants to know what your favorite gift ideas are for the upcoming holiday season. You can check out what other people have already shared and then submit your own ideas for a chance to win $500! After entering in as many suggestions as you would like, the itsThoughtful community will then comment and vote on all of the submissions until December 20, 2010. The gift idea with the most votes will win a $500 Amazon gift card and if a friend that you invited to enter wins, you'll go home with a $200 Amazon gift card for yourself! Sounds like a pretty easy way to make some quick money for the holidays, doesn't it? Head over and take a look at the Christmas Gift Idea Contest and give it a go! One lucky person will win a $25 Amazon gift card from itsThoughtful! To enter to win: Visit itsThoughtful and submit one of your favorite gift ideas into their Christmas Gift Idea Contest! Not only will this enter you to win the $25 Amazon gift card here, but you will be eligible to win the $500 prize over there as well! 1 Extra Entry (up to 5) if you enter more gift ideas into itsThoughtful's Christmas Gift Idea Contest! 3 Extra Entries if you blog about this giveaway linking back to Thanks, Mail Carrier and itsThoughtful. Please leave an address where it can be found. Giveaway will end on November 26th at 11:59pm CST. Do me the favor of leaving an email address or making absolutely sure it is visible in your profile, I have to have a way to contact the winner. The winner will be chosen by random.org and announced here as well as emailed and will have 48 hours to contact me or respond to notification or a new winner will be chosen. This giveaway is open worldwide! If you're reading this, you can enter! A big thank you to itsThoughtful for providing a $25 Amazon gift card for me as well as for one lucky giveaway winner. The opinions shared are my own and honest and if you really need to see more, click here to see how I roll. I submitted an Amazon gift card. I entered the contest at itsthoughtful.com! I liked itsthoughtful on FB! I posted on their wall as Vira L. Reda! I entered your ThinkGeek giveaway! I entered your Little Tikes Neighorhood Market giveaway! I entered your Pur giveaway! I entered your Reeves International giveaway! Thanks for the nice comment on my Etsy Shop. I submitted my idea - Qwirkle Family Board game! entered the Christmas Gift Idea Contest! I entered a fav. gift idea into their gift idea contest. Thanks for the chance to win. I submitted the Kindle as a Christmas Gift Idea! I entered the RCA digital camcorder giveaway! I'm entered into the 1-800-flowers giveaway! I'm entered into the Double Duty Divas giveaway!